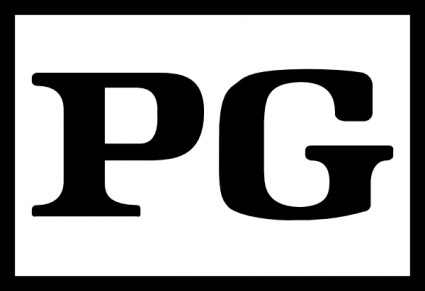 PG stands for Parental Guidance suggested, which is a guideline from the movie industry, letting parents know that they might want to pay a little extra attention to whether their child should watch the film. In real life parenting, there are very few guidelines. As they say, no one gets a guidebook when their child is born. Love, common sense, and the role modeling of one’s own parents provide the only roadmap. When those elements are missing or skewed, the children suffer, and so do the generations down the line. My parents were not good role models as parents, in fact, there wasn’t much parenting going on at all. Without going into the details right now, let me just say that I never would do to my children what my parents did to me. Don’t get me wrong. I made many mistakes, as a recent visit from my oldest son made painfully clear. But I did try to be a good parent. I don’t know that my own parents can say that—or would say that, if they were being honest. My first marriage ended in a nasty divorce. The details are in my memoir, but, basically, to end the battle and keep a home for our children, I signed the divorce papers without reading them. This was foolish because it gave my ex 80% of my income, as well as the house, actions that eventually led me to make an even more foolish decision to smuggle drugs through Miami International Airport. I chose a short-term peace for a long-term nightmare and train wreck. When my son visited this month, I was so happy just to be a dad again. For the first few days, we just shared good times together, and then we had a heart-to-heart. He had a lot of issues, and he was hurt. Yes, his mother made it hard for me to be a father—for instance, by refusing to get a job so that I could quit one of my two full-time jobs in order to spend some time with the kids as well. After the divorce, though, it was mostly on me. I was using drugs and smuggling drugs, and I wasn’t there for my kids. I should’ve been there! But I stood away! Looking back, I think I was ashamed of myself and my behavior, and I didn’t want them to suffer like I had when I was a child, by exposing them to alcohol and drugs. Of course, the answer was to STOP the behaviors, get help for my addiction, and be there for them. To really put them first. Some things in life, you just cannot fix. There’s nothing I can do now but take responsibility for my actions, try to make amends, pray that my children forgive me, and hope that they can be better parents to their own offspring. Pingback: In the Vinelight: We Can Dream, Right? - Melissa Say What?